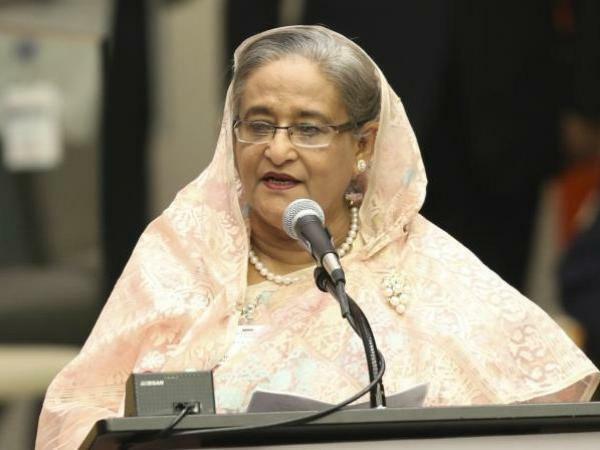 DHAKA –Bangladesh Prime Minister Sheikh Hasina urged students Sunday to go home as police fired tear gas at teenage protesters during an eighth day of unprecedented demonstrations over road safety which have paralysed parts of Dhaka. Hasina warned Sunday that a "third party" could sabotage the protests and put the safety of demonstrators at risk. Hasina's warning came as protesters marched towards the scene of Saturday's clashes chanting "We want justice!" Police denied they fired rubber bullets or tear gas at the protesters Saturday. However hospital staff said dozens of people had been injured, some seriously, and injuries were consistent with rubber bullet wounds. On Saturday, US ambassador Bernicat's vehicle was set upon by a mob. "As she was leaving about 11pm and getting into her car, a group attacked her car," said rights activist Badiul Alam Majumder, who was hosting the ambassador for dinner. The US embassy confirmed an official vehicle "was attacked by a group of armed adult men" but the envoy and her team departed unharmed. The country's biggest-circulation newspaper Prothom Alo said 3G and 4G internet services have been shut down for 24 hours since late Saturday, shortly after the violence broke out. Bangladesh's transport sector is widely seen as corrupt, unregulated and dangerous. As news of the teenagers' deaths spread rapidly on social media they became a catalyst for an outpouring of anger against the government. Hasina's government has ruled Bangladesh since 2009, but in recent months it has been shaken by separate mass protests demanding an end to a decades-old system of discriminatory civil service recruitment.